Heads up, DOG MAN lovers! Watch out, readers of BAD GUYS! Robotic dog AWESOME DOG 5000 is in the neighborhood and he's. . . well, he's awesome. Marty, Ralph, and Skyler might make the ultimate secret combo when battling alien-slime ninjas in their favorite video game, but in real life they're just regular kids. That is, until the three best friends discover Awesome Dog 5000, a robotic dog with very real power-ups. Awesome Dog can "bark" a sonic boom, "walk" at speeds over three hundred miles per hour, and "fetch" with an atomic cannon. Life for Marty, Ralph, and Skyler just got a major turbo-boost! Attention, readers! 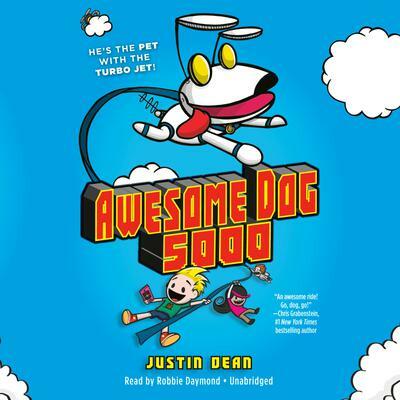 AWESOME DOG 5000 is a wild action-comedy told through a mix of text and black-and-white illustrations, with a mystery to solve at the end. Can you handle the awesomeness?